The Immaculate Heart of Mary, Refuge of sinners. The Register of the Archconfraternity of the Immaculate Heart of Mary, has been reopened, after a FULL APPROVAL being received in September, 2015, from our Holy Father, POPE GREGORY XVIII. All Catholics (those in communion with Pope Gregory XVIII), of whatever age, rank, or country, can enter the Archconfraternity. The Archconfraternity register contains the names of bishops, priests, religious, laity of all conditions, and children. It is consecrating them to the Heart of Mary, and invoking on them the blessed effects of her protection. In order to become a member, it is necessary to be enrolled on the register of the Archconfraternity. After a successful enrollment, the member should wear the medal of the Immaculate Conception (Miraculous Medal), as a sign of his association. This is an Army of the Immaculate Heart of Mary, which is officially approved by the Catholic Church. All enrolled members are thence consecrated to the Immaculate Heart of Mary. What is the Eligibility for enrollment? Any censures of the candidates must be lifted, and they must be in communion with the current Holy Pontiff, Pope Gregory XVIII, successor of Pope Gregory XVII (a.k.a. "Cardinal" Siri). Those candidates who have had any censures lifted, and are in good standing with Pope Gregory XVIII, are required to email their name to AIHM@papalrestoration.com. *Names after verification will be entered in the Archconfraternity Register. *Note: Names of the applicants will not be disclosed publicly. The Official Registry of the AIHM (Archconfraternity of the Immaculate Heart) is in the possession of the clergy. Once successfully enrolled, what are the requirements from the members? 1) Wearing of a Miraculous Medal (either blessed or unblessed). 2) At least one Ave Maria (Hail Mary) is recommended each day for the conversion of sinners and for the Intentions of the Archconfraternity of the Immaculate Heart. Furthermore members are encouraged to pray the Memorare, Sub tuum præsidium (We fly to thy patronage), and the invocation: Refugium Peccatorum, ora pro nobis (Refuge of Sinners, pray for us). This however does not bind the member under the pain of sin. 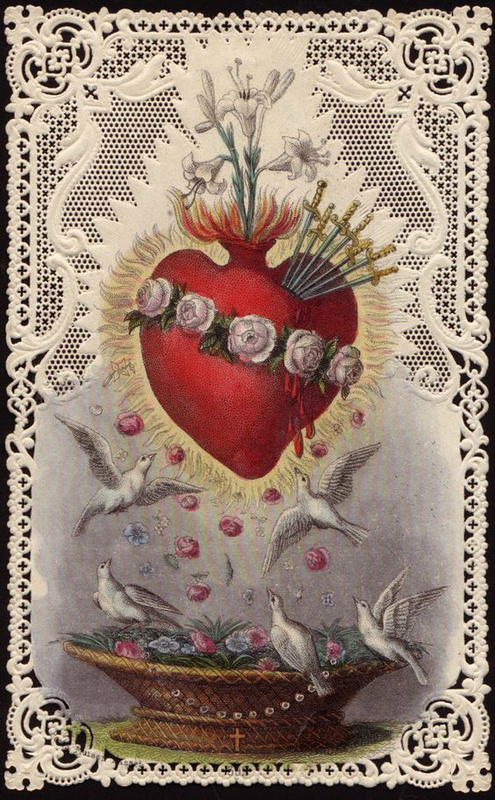 Members are exhorted each morning to offer and consecrate to the Immaculate Heart of Mary, all the prayers, rosaries, good works, alms-deeds, acts of piety, mortifications and penances, which they may perform in the course of the day through the Archconfraternity. In this way every other member of the Archconfraternity will benefit from the graces too, and hence vice versa. An enrolled member of the Archconfraternity contracts no obligation under pain of sin, therefore it is not of absolute necessity to pray the recommended prayers and communicate on festivals. Zeal for the glory of God and the salvation of souls, love for the Blessed Virgin, and the desire of obtaining the spiritual advantages attached to these holy exercises, are the only motives for fulfilling them. But it is well to observe that those who neglect them entirely, or who fulfill them with affected indifference, deprive themselves of many graces, which they would otherwise receive. After around six years of suffering a devotional declination in the Parish of Notre Dame des Victoires, Paris, the Confraternity of the Immaculate Heart of Mary was established in December, 1836. Since then, there occurred voluminous conversions and miracles through the intercession of the Immaculate Heart. On April 24th, 1838, Pope Gregory XVI, in his Apostolic Brief entitled this humble Confraternity as "The ARCHCONFRATERNITY of the Immaculate Heart of Mary." This Archconfraternity was honoured with great privileges by the same Pope. In September 2015, the information was received from the hierarchy in exile that our Holy Father Pope Gregory XVIII, has given full approval to recommence this holy task. Sweet Heart of Mary, be our Salvation (300 days Indulgence).